Pinoy rap is going through a revival but Gloc-9's kind of rap remains. 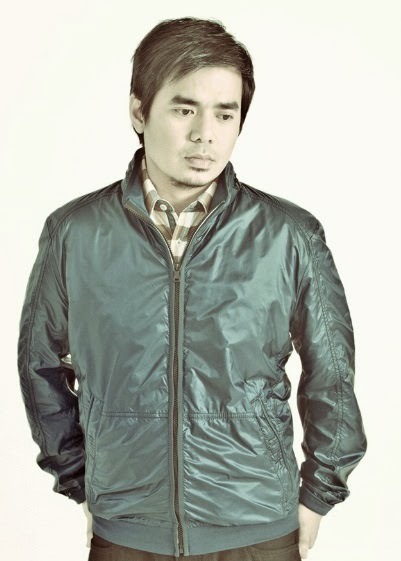 At the heart of Gloc-9's icon is the fact of his creativity. This is a rapper who dares writes songs from nation, trailing an eye on the things we fail to see, listening to words no one else hears. If the first single off his new album Liham at Lihim is any indication, then Gloc-9 has again raised the bar for songwriting in general, Pinoy rap in particular. A collaboration with rock icon Rico Blanco, “Magda” is Gloc-9's storytelling at its best. For one thing, he doesn't take on the persona of Magda; instead he speaks as Ernesto, telling the story of Magda – the little of it that he knows. For another, Magda's story doesn't unfold easily, where many things are left unsaid, and much of what is truth happens in a letter. This is also why Gloc-9 thinks “Magda” the best choice for a carrier single, given the CD's title. But Magda's complexity, as Liham at Lihim suggests, is borne of the fact that she is trapped in what she does, and we cannot understand why. Gloc-9 doesn't insist that we understand it, but through Ernesto we are being made to see the sadness in this situation, the nostalgia for the past, the longing for better. That chorus is sung by Blanco, something that Gloc-9 is grateful for. “Rico is one of the most talented singers we have right now, and even though I wrote the song, Rico is the only one who can sing the chorus the way he does and bring to the song his own uniqueness. Sobrang galing,” he says. “Magda” reminds us that there are many difficult stories to tell, and very few who dare tell it the way Gloc-9 and Rico Blanco do. This song reminds us that there are no judgements, as there are questions. And there is no right and wrong, as there is need and love. If not hope. Without a doubt, Pinoy rap's going through a revival. With “Magda” and all of Liham at Lihim, Gloc-9 proves he is in a class all his own. Liham at Lihim will be released in October 2013. This is Gloc-9's second album with Universal Records after 2012's Mga Kwento ng Makata and the critically-acclaimed hit single “Sirena.” Liham at Lihim features Gloc-9 collaborations with Regine Velasquez-Alcasid, Quest, Marc Abaya, Zia Quizon, Kamikazee, Eunice of Gracenote, Denise Barbacena, and Sly Kane.